The Yukon Territory in Canada has a well deserved international reputation for having several outstanding rivers for canoeing. Our Wind River guided canoeing adventure is such a river. The Wind River in Yukon’s Peel River watershed is the essence of a wilderness river, offering incredible vistas and opportunities for hiking along the way. 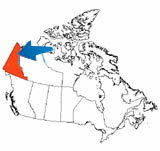 Accessible only by air charter, it parallels the border of the Northwest Territories and the Yukon, against the backdrop of the Wernecke Mountains. It flows through a broad sweeping valley which makes for easy travel for humans and wildlife alike. best suited to paddlers who have had river experience and are comfortable with river paddling strokes. The Northwest Mounted Police, later to become the Royal Canadian Mounted Police, used to make patrols between Fort McPherson and Dawson City by dog team. The last one, in the early 1900s, resulted in the tragic death of all its members. Their story came to be known as the “Lost Patrol”. Begins at McClusky Lake and ends where the Wind River meets the Peel River. Paddle distance is approx. 280 kilometres (165 miles) with an elevation drop of 800 meters (2400 feet). surrounding mountain ridges are ideal for hiking. Layover days have been scheduled to take advantage of the scenic vistas from these lookouts. Wind River is home to Dall sheep, goats, caribou, elk, beaver, wolf, black/grizzly bears, eagles, falcons and more. It would be surprising if a number of these were not encountered during the paddle. charter flights in and out of the Wind River present spectacular views of the river and mountains of the Peel Watershed. 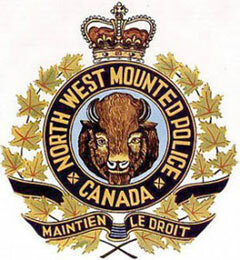 The North West Mounted Police were established by the Canadian federal government on May 23, 1873, to maintain law and order in the old Northwest Territories, which then included what are now northern Manitoba, Saskatchewan, Alberta, and the Yukon. In February 1920, the NWMP became responsible for enforcement of federal laws from the Atlantic to the Pacific. 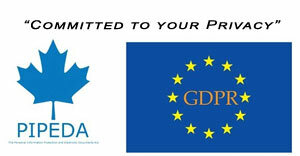 In keeping with its new role, it was renamed the Royal Canadian Mounted Police.